A chic boutique hotel boasting the finest restaurant in town. 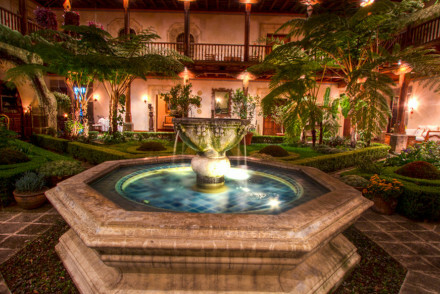 Atmospheric throughout find warm terracotta hues, plush chandeliers, Cuban antiques and porcelain tiles. Feast on gourmet cuisine and gently sway to live music. Walking distance from many of the city's main sights. A real gem. Foodies - Longstanding Antigua's premier restaurant. A lively concoction of music and superb cooking. City Style - Languish amongst sumptuously designed rooms and soak up the chic atmosphere. Sights nearby - Antigua is packed full of cultural gems. Be sure to visit the Cathedral of San José and the Palacio de los Capitanes. Great walks - Unwind over an in-house yoga class after all that sightseeing. 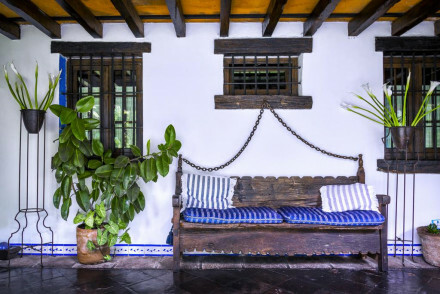 A charming guesthouse in the historic city of Antigua. 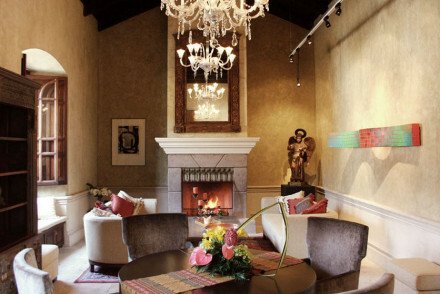 Traditionally dressed rooms feature white washed walls, beamed ceilings and antique furniture. A pretty garden and small pool is the ideal spot grab a moment of quiet. Find many of the city's attractions within walking distance. Fabulous. Local exploring - Well positioned within the UNESCO World Heritage Site city of Antigua. Sights nearby - Be sure to visit the Cathedral of San José and the Palacio de los Capitanes. Local markets - Scour the market for traditional artefacts. An atmospheric boutique hotel in the centre of the historic city. Housing just seven beautifully designed rooms, traditional in style, with exposed stone work, antique furniture and beamed ceilings. A tranquil garden is the perfect spot to unwind with a drink after a day's exploring. Superb. City Style - Find the glamour of colonial design and contemporary luxury in this stylish hotel. Great walks - A walk up to the Hill of the Cross is well worth the effort to take in the epic views. Local markets - Explore the lively Antigua Market and search for local arts and crafts. Sights nearby - Take a walk to the impressive Cathedral in the nearby Parque Central. A blissful boutique hotel steeped in history and set within tranquil walled gardens. Terracotta rooms feature beamed ceilings, antique style furniture and large glass windows leading onto the gardens. The restaurant is superb and location ideal for exploring the historic city. Highly recommended. 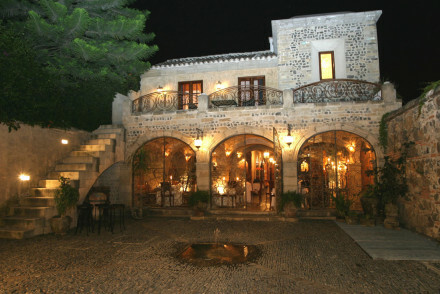 Local exploring - An atmospheric and historic hotel located within a UNESCO World Heritage Site. Sights nearby - Visit the picture perfect La Merced Church and Antigua Cathedral. Local markets - Explore the local market for regional artefacts. A luxury hotel packed full of charm. Traditionally styled rooms feature beamed ceilings, antique rugs and wooden floors. Sample Guatemalan cuisine in the neoclassical terrace restaurant complete with mountain views. Well located for city exploring by foot. Fabulous. Local exploring - An atmorspheric hotel well located with easy access to local attractions. Sights nearby - Just a 10-minute walk from San Francisco Church and the Arco de Santa Catalina. 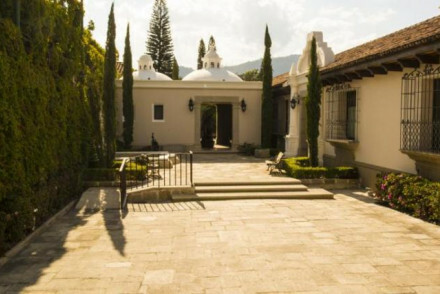 Great walks - Take a relaxing stroll around the nearby Antigua Guatemala’s Central Park. Local markets - Search the Antigua Market for local handicrafts. 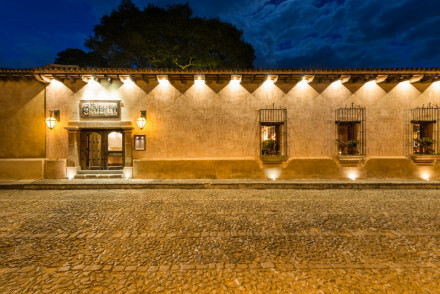 A small boutique hotel in an original Spanish colonial casona. 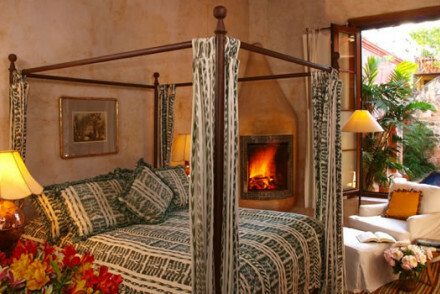 Individually styled rooms feature mayan textiles, antique furniture, wooden floors and plenty of charm. A chic rooftop terrace is the perfect spot to unwind with a drink and a small pool is the icing on the cake. Intimate and authentic. Local exploring - An authentic hotel in the heart of the city. Ideal for easy access to the city's main attractions. Sights nearby - Find numerous sights of cultural interest. Be sure to visit the impressive Cathedral. Great walks - Make the trip up to the Hill of the Cross and marvel at the panoramic views. Local markets - Scour the Antigua market for local crafts and artefacts. A glorious converted palace holding all the glamour of its former years. Enormous rooms feature antique furniture, chandeliers, tiled floors, richly textured rugs and intricately carved ceilings. A leafy central courtyard is the ideal spot to unwind with a good book. Fabulous. City Style - A palatial property ideal for lux city living. Sights nearby - Find numerous cultural sights to be explored. Be sure not to miss the Santa Catarina Arch and La Merced Church. Great walks - Take a stroll up to the Hill of the Cross for panoramic city views. Local markets - Search for local arts and crafts at the Antigua market.